Occupational Therapy and Cognitive Behaviour Therapy for Women in Edinburgh and Fife. How can Occupational Therapy Help Me? When a person is experiencing psychological or emotional difficulties, they may well attend their GP. The GP will interview them and based on the nature and severity of the persons symptoms may either recommend treatment himself or refer the person on to a specialist. There can seem a bewildering array of such specialists, all with rather similar titles, and one can wonder as to why they’ve been referred to one specialist rather than another. In this article I give an outline of the qualifications, roles and typical working styles of these specialists. This may be of interest to anyone who is about to, or already seeing, these specialists. Although not a mental health specialist, the GP is a common first contact for those with mental health problems. A GP is a doctor who possesses a medical degree (usually a five-year course) and has completed a one-year “pre-registration” period in a general hospital (six-months on a surgical ward and six-months on a medical ward as a “junior house officer”). Following this a GP has completed a number of six-month placements in various hospital-based specialities – typical choices include obstetrics and gynaecology, paediatrics, psychiatry and/or general medicine. Finally, a year is spent in general practice as a “GP registrar” under the supervision of a senior GP. During this period, most doctors will take examinations to obtain the professional qualification of the Royal College of General Practitioners (“Member of the Royal College of General Practitioners”, or MRCGP). Others qualifications, such as diplomas in child health, may also be obtained. The GP is thus a doctor with a wide range of skills and experience, able to recognise and treat a multitude of conditions. Of course the necessity of this wide range of experience places limits on the depth of knowledge and skills that they can acquire. Therefore, if a patient’s condition is rare or, complicated, or particularly severe and requiring hospital-based treatment, then they will refer that patient on to a specialist. Focusing on mental health problems it will be noted that whilst the majority of GP’s have completed a six-month placement in psychiatry, such a placement is not compulsory for GP’s. However, mental health problems are a common reason for attending the GP and, subsequently, GP’s tend to acquire a lot of experience “on the job”. Most GP’s feel able to diagnose and treat the common mental health problems such as depression and anxiety. The treatments will typically consist of prescribing medication (such as antidepressants or anxiolytics) in the first instance. If these are ineffective, alternative medication may be tried, or they may refer the patient to a specialist. GP’s are more likely to refer a patient to a specialist immediately if their condition is severe, or they are suicidal, or they are experiencing “psychotic” symptoms such as hallucinations and delusions. This is a fully qualified doctor (possessing a medical degree plus one year pre-registration year in general hospital) who has specialised in the diagnosis and treatment of mental health problems. Most psychiatrists commence their psychiatric training immediately following their pre-registration year and so have limited experience in other areas of physical illness (although some have trained as GP’s and then switched to psychiatry at a later date). Psychiatric training typically consists of a three-year “basic” training followed by a three year “specialist training”. During basic training, the doctor (as a “Senior House Officer” or SHO) undertakes six-month placements in a variety of psychiatric specialities taken from a list such as; General Adult Psychiatry, Old Age Psychiatry (Psychogeriatrics), Child and Family Psychiatry, Forensic Psychiatry (the diagnosis and treatment of mentally ill offenders), Learning Disabilities and the Psychiatry of Addictions. 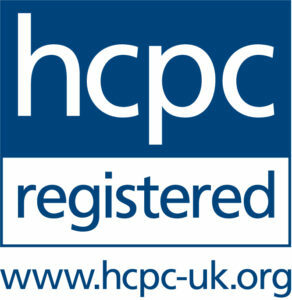 During basic training, the doctor takes examinations to obtain the professional qualification of the Royal College of Psychiatrists (“Member of the Royal College of Psychiatrists” or MRCPsych). After obtaining this qualification, the doctor undertakes a further three-year specialist-training placement as a “Specialist Registrar” or SpR. At this point the doctor chooses which area of psychiatry to specialise in – General Adult Psychiatry, Old Age Psychiatry etc – and his placements are selected appropriately. There are no further examinations, and following successful completion of this three-year period, the doctor receives a “Certificate of Completion of Specialist Training” or CCST. He can now be appointed as a Consultant Psychiatrist. The above is a typical career path for a psychiatrist. However, there are an increasing number of job titles out with the SHO-SpR-Consultant rubric. These include such titles as “Staff Grade Psychiatrist” and “Associate Specialist in Psychiatry”. The doctors with these titles have varying qualifications and degrees of experience. Some may possess the MRCPsych but not the CCST (typically, these are the Associate Specialists); others may possess neither or only part of the MRCPsych (many Staff Grades). Psychiatrists of any level or job title will have significant experience in the diagnosis and treatment of people with mental health difficulties, and all (unless themselves a consultant) will be supervised by a consultant. Psychiatrists have particular skill in the diagnosis of mental health problems, and will generally be able to provide a more detailed diagnosis (i.e. what the condition is) and prognosis (i.e. how the condition changes over time and responds to treatment) than a GP. The psychiatrist is also in a better position to access other mental health specialists (such as Psychologists and Community Psychiatric Nurses or CPNs) when needed. They also have access to inpatient and day patient services for those with severe mental health problems. The mainstay of treatment by a psychiatrist is, like with GP’s, medication. However, they will be more experienced and confident in prescribing from the entire range of psychiatric medications – some medications (such as the antipsychotic Clozapine) are only available under psychiatric supervision and others (such as the mood-stabiliser Lithium) are rarely prescribed by GP’s without consulting a psychiatrist first. A psychiatrist, as a rule, does not offer “talking treatments” such as psychotherapy, cognitive therapy or counselling. The latter may be available “in-house” at the GP surgery – some surgeries employ a counsellor to whom they can refer directly. Psychologists and allied mental health staff typically provide the more intensive talking therapies. Some senior mental health nurses and CPNs will have been trained in specific talking therapies. It is to a Psychologist or a trained nurse that a psychiatrist will refer a patient for talking therapy. These therapies are suitable for certain conditions and not for others – generally, conditions such as Schizophrenia and psychosis are less appropriate for these therapies than the less severe and more common conditions such as depression, anxiety, post-traumatic stress disorder, phobia(s) and addictions. In many cases, a patient will be prescribed both medication and a talking therapy – thus they may be seen by both a therapist and a psychiatrist over the course of their treatment. A qualified clinical psychologist is educated and trained to high degree. In addition to a basic degree in Psychology (a three year course) they will also have completed a PhD (“Doctor of Philosophy” or “Doctorate”) – a further three-year course involving innovative and independent research in some aspect of psychology. They will also be formally trained in the assessment and treatment of psychological conditions, although with a more “psychological” slant than that of psychiatrists. Psychologists do not prescribe medication. They are able to offer a wide range of talking therapies to patients, although they typically specialise and become expert in one particular style of therapy. The therapies a particular psychologist will offer may vary from a colleague, but will usually be classifiable under the title of Psychotherapy (e.g. Analytic Psychotherapy, Transactional Analysis, Emotive therapy, Narrative therapy etc) or Cognitive Therapy (e.g. Cognitive Behavioural Therapy (CBT) or Neuro-Linguistic Programming (NLP) etc). These are mental health trained nurses that work in the community. They will have completed a two or three year training programme in mental health nursing – this leads to either a diploma or a degree, depending on the specific course. They are not usually “general trained”, meaning their experience of physical illness will be limited. Following completion of the course they will have spent a variable amount of time in placements on an inpatient psychiatric unit – this time can range from twelve months to several years. They can then apply to be a CPN – they are required to show a good knowledge and significant experience of mental health problems before being appointed. CPNs are attached to Community Mental Health Teams and work closely with psychiatrists, psychologists and other staff. They offer support, advice and monitoring of patients in the community, usually visiting them at home. They can liaise with other mental health staff on behalf of the patient and investigate other support networks available (such as the mental health charities). Some CPNs will be formally trained in one or more “talking therapies”, usually a cognitive therapy such as CBT (see “Allied Therapists” below). Many “talking therapies” are offered by non-psychologists – for example, mental health nurses and mental health occupational therapists can undertake a training course in a cognitive therapy like CBT. After successful completion of the course, the nurse will be qualified and able to offer CBT to patients. The length and intensity of these courses can vary dramatically, depending on the type of therapy and the establishment providing the course. Some are intensive, full-time one or two week courses; others are part-time and can extend over months and years. Perhaps a typical course will be one or two days a week for two to three months. Formal educational qualifications are not necessary to undertake these courses, and they are open to “lay” people with little or no experience of the NHS mental health services. Of course this is not necessarily a problem – it may even be considered a positive point! Some of those therapists thus qualified will offer their skills as part of their work in the NHS – for instance, a nurse, CPN, or occupational therapist, may offer cognitive therapy to a patient that has been referred by a psychiatrist. Unfortunately this is relatively rare at the moment, presumably due to the reluctance of the NHS to pay for such training for their staff. As a result these therapies are more accessible on a private basis. An individual with psychological difficulties will normally attend their GP in the first instance. The GP will usually have encountered similar problems with other patients and can offer a diagnosis and appropriate treatment. If the condition is unusual or particularly severe, the GP can refer the patient to a psychiatrist. The psychiatrist is able to access a wider range of treatments (medications and hospital care) and can, if necessary, recruit other mental health professionals to help the patient. This system perhaps works best with the severely mentally ill such as those with psychotic symptoms or who are suicidal. The Mental Health Services in the NHS are generally less well suited to those with psychological problems of a less severe nature – the moderately depressed, the anxious, the phobic etc. The availability of “talking therapies” is limited in the NHS, with long waiting lists or even no provision at all in some areas. This appears to be due both to the cost of training staff appropriately and the time-intensive nature of these therapies. For those with such conditions, the main option is to seek help outside the NHS. There are some voluntary organisations that offer free counselling for specific problems such as bereavement or marital/relationship difficulties, but more intensive therapies (such as CBT or NLP) are typically fee based. Your GP or local Community Mental Health Team may be able to recommend a local private therapist. Occupational therapy is an allied health profession. This term is used to refer to the wide range of professional groups that work in mainstream health care. Other examples of allied health professionals include physiotherapists, radiographers, speech and language therapists, and podiatrists. Occupational therapists are required to train at degree level and register with the Health Profession Council, which was set up by the government to ensure the safety of the public and continuing professional development of its members. Occupational therapists are concerned with human occupation in its widest sense. They believe that people have an intrinsic drive to be active and express themselves via occupations and activities. Occupational therapists understand that occupations contribute to a person’s sense of identity and place in society. Take a moment to have a think about all the roles and occupations that make up your life, you may be a parent, or partner, you may be studying at college or working your way up the career ladder, you may be into exercising and keeping fit or you may be leading a hippy lifestyle! Whatever, your life choices, it is likely that these roles and occupations give your life direction. For example, think about the range of activities that you do in any week, you will find that most of what you do, is related to your life roles and choice of occupations. This is because we do what is meaningful to us and what is necessary (ironing is likely to fall into the latter category!). The body and the mind require activity in order to maintain functioning. Through the activities that you do, you develop skills and get to practice them, interact with other people, learn to adapt, meet basic human needs and convey whom you are. Activities are the things that you do in order to work towards your goals. It is understood that if your routines are disrupted or you are deprived of occupation because of illness, stress or other problems your health and well-being will suffer. Occupational therapists help people whose usual and important routines are disrupted because of illness, stress or social problems. Their aim is to enable people to achieve as much as they can for themselves, so they get the most out of life. Occupational therapists work on any occupational difficulties and in this way are experienced life coaches. When people cannot do things which are important to them – such as getting dressed, giving a presentation at work, having a shower, working, socializing, feeling confident to go out into the community or undertaking a favorite hobby – an occupational therapist can help them in many ways, based on each individual person’s needs and lifestyle. Occupational therapy can help you to maintain a personally satisfying routine of activities. I am an NHS experienced occupational therapist and have worked with people with mental-health difficulties of all types, using a range of mental health therapy techniques. Occupational therapists are skilled at empowering individuals with depression, anxiety and stress to become re-engaged with life and to feel confident again.